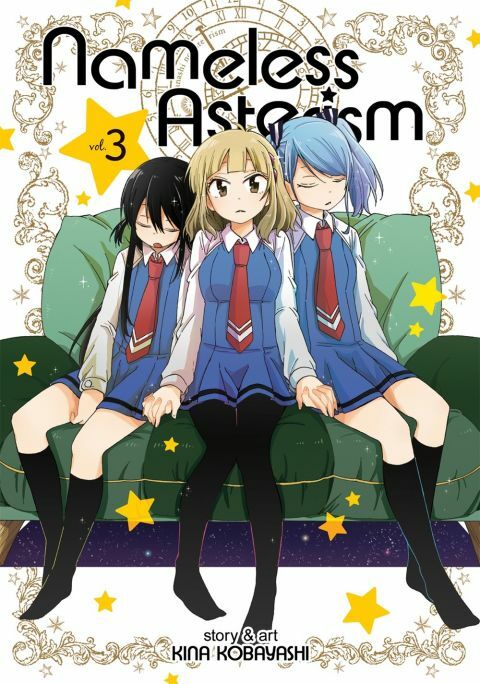 Tsukasa, Nadeshiko, and Mikage have been inseparable since they began junior high, but Tsukasa has a secret she's been keeping from her best friends--she actually has a big crush on Nadeshiko! Not wanting to risk their friendship, she planned to keep it a secret forever, but when Tsukasa learns that Nadeshiko has a crush on Mikage, her desire to support her friends now conflicts with her own feelings. First love blossoms in unexpected ways for these three young women and their circle of friends. Other products for "Nameless Asterism" in "Books"